Lionel Messi will have plenty of energy left for the World Cup and Argentina should not worry about their star forward, says Barcelona coach Ernesto Valverde. A hamstring injury saw Messi sit out Argentina's March friendlies against Italy and Spain - the latter a crushing 6-1 defeat in Madrid. 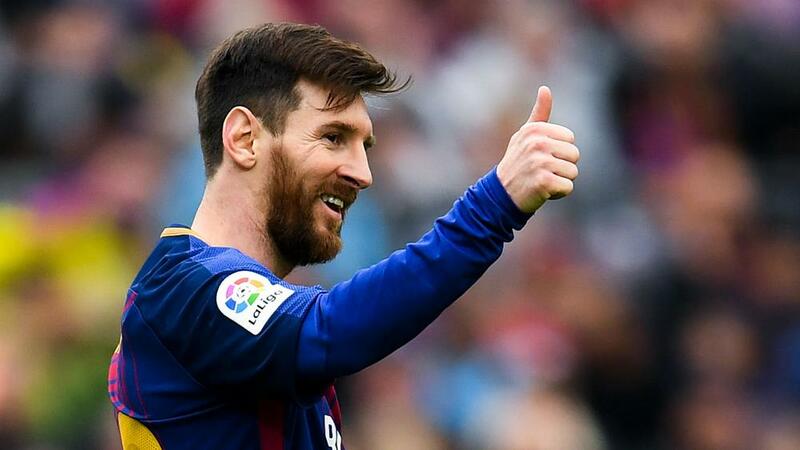 Speculation about Messi's fitness has continued despite his form for Barcelona including a stunning hat-trick in a 3-1 home win against Leganes in LaLiga. Valverde suggested Messi could sit out Tuesday's trip to Celta Vigo, as Barcelona face Sevilla in the final of the Copa del Rey at the weekend, but the coach has no concerns about the forward's condition. "It's a possibility that Messi rests, like others," Valverde told reporters. "There's nothing to worry about, the other day [a 2-1 win against Valencia] he played a good game. "They should be calm in Argentina because Messi still has a lot of energy left for the World Cup." Barcelona have drawn two of their three matches against Celta Vigo this season, although Valverde's men were 5-0 winners in the most recent meeting in the Copa in January. Celta are led by former Barca goalkeeper and assistant coach Juan Carlos Unzue and Valverde is wary of the threat posed by Maxi Gomez, who has hit 13 goals in his first LaLiga season to earn comparisons to Barca striker Luis Suarez. "I think it will be similar to the game against us at Camp Nou in December and the first leg of the Copa del Rey," Valverde said. "They'll bring pressure up the field and try to stop us from getting out of our own half but we have to get past that. He [Unzue] knows what Celta have done well against Barca this season, it's an advantage for them and a disadvantage for us. "It's true [Gomez] is like Luis Suarez but he is also different. He is a great shooter, very powerful on the attack and takes shots quickly and with strength. He is having a very good season, it's true that a lot of his success also has to do with the fact they play with another striker, he has a reference point and has been scoring, one of the surprises of the season for sure." Although Ivan Rakitic will miss the trip to Celta with an injured finger, Valverde remains hopeful the Croatia midfielder will be fit to face his old side in Saturday's Copa final.